Webinars are an increasingly popular form of holding meetings or announcing the latest news for many corporations and businesses. They are held for many reasons, but regardless of delivery are almost always important to how a company operates. When you have to head a webinar, it’s natural to feel a little anxious considering how many eyes will be on you as you play host to the event. After you have strategically planned out and prepared for your webinar, it is time for it to be presented, but how do you truly know how well you did after it is over? Well, there are specific ways you can analyze your last webinar to make sure it was up to par with the company’s needs, as well as informative and insightful. 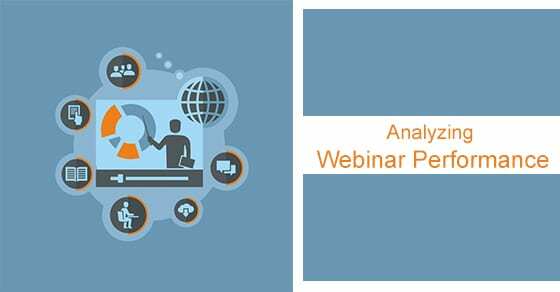 Viewing the analytics of your webinar will give you great insight that you can use to better perform and prepare for future webinars. It will also help you to recognize quality leads if your webinar was for public use. It’s always wise to know how many people attended your webinar. When you compare the number to the percentage of those who registered for attendance, you will learn how well you did promoting the webinar and how much popularity it gained. When you hold giveaways or contests during or in regards to the webinar, you are more likely to gather a larger audience. Like click through rates, measuring the amount of engagement is important. Consider how many people interacted with you during the web seminar. If people are responsive, then the webinar was successful. The more engagement, the better you did. If engagement was low, then finding other ways to keep people engaged in future webinars will need to be considered. How many people stayed with the webinar the entire time? Were you able to keep them engaged throughout the entire webinar? If you lose audience members, you may need to revamp your webinars so that they continue to hold the interest of the viewers.